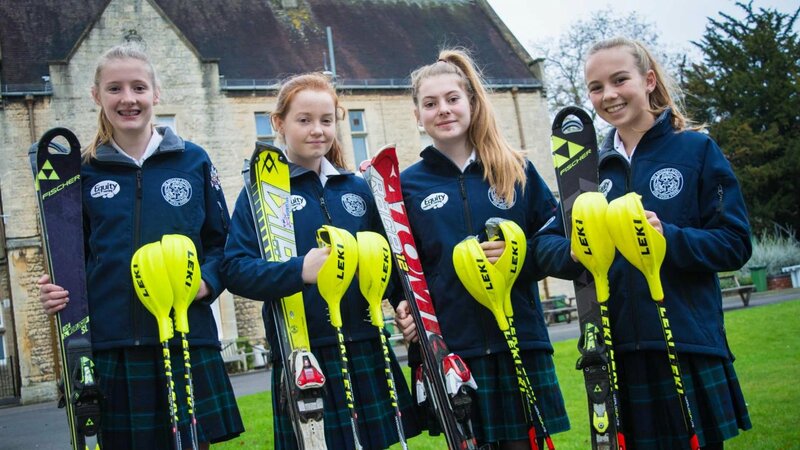 The Kingsley School’s U16 ski team have returned from the ESSKIA British Schools’ Dry Ski Slope finals in Pontypool, Wales, finishing 7th out of the 23 best school ski teams in the country. 2017 is the second year that the team of four girls: Hannah Dennison (13 from Daventry), Emma Lawton (13 from Leamington Spa), Lorenza Chapman (14 from Leamington Spa) and Lucy Sainsbury (13 from Stratford-upon-Avon) have qualified for and competed in the finals. Finishing in 19th place last year, their achievement demonstrates the massive improvement they have made and their dedication to training and high level competition. Aged at 13 and 14, the team were the youngest competing on the slope, greatly impressing the Chair of Snowsport Wales and Niall Whitmore, Chief Instructor of ESSKIA. Hannah Dennison, who finished 15th out of the 93 racers and Emma Lawton, who finished in 23rd place, have recently been selected as part of a group of 20 girls to attend a prestigious week-long training camp in Geilo, Norway in February 2018, following a run of individual and team successes. The School Team were also recently nominated for the second year running as U18/School Team of the Year at this year’s Coventry and Warwickshire Sports Awards at the Ricoh Arena, where they received strong support from Team GB Paralympic skier Anna Turney. The team are travelling to Villars-sur-Ollon in Switzerland in March 2018, with additional Kingsley member Cecilia Goldwin, to compete in The Aiglon College Cup.